One of the most beloved gods in the Hindu pantheon is Lord Rama. Indians affectionately call him Shri Rama, Ram, Ramaji, or Ramachandra. (Ram rhymes with palm in pronunciation). A joyous festival in India is Ram Navami, or the birthday of Lord Rama. Ram Navami 2019 falls on April 13 in North and South America, Africa, and Europe. As it’s a lunar holiday, Ram Navami 2019 will be on April 14 in India and the rest of Asia, Australia, and New Zealand. Ram Navami falls during the Vedic lunar month of Chaitra. It happens during one of the four annual celebrations of Navratri, known as Chaitra Navratri or Vasant Navratri. Navami refers to the 9th phase of the Moon in Vedic astrology or Jyotish. Ram Navami 2019 falls on the 9th day of the waxing Moon in the month of Chaitra. In some regions of India, the festival of Ram Navami lasts nine days. Rama is considered to be one of the dashavatar (10 incarnations) of Lord Vishnu. Vishnu is the preserver of the universe. He is the 7th avatar. Thus, Shri Rama is known to possess many of the divine qualities of Shri Vishnu. If you’ve had the opportunity to travel throughout India, you’ve undoubtedly seen temples to various deities in both large cities and the smallest villages. There are hundreds of Hindu gods, each of whom embodies certain divine attributes. 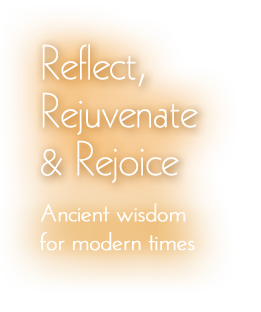 Rama embodies duty, dharma, generosity, humility, honor, righteousness, and sincerity. The word Ram translates as “one who delivers joy to others” or “one who remains divinely blissful” or “the one in whom the sages rejoice”. Another celebration of Ram Navami in South India is the commemoration of the marriage of Lord Rama and his consort, Sita. 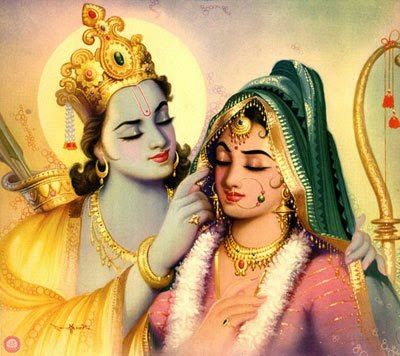 Sita is also known as Janaki, as she is the daughter of King Janaka. Their wedding day is also called Kalyanotsavam. Prince Rama was born in the land of Ayodhya as one of the sons of King Dasharatha. His mother was Kaushalya. 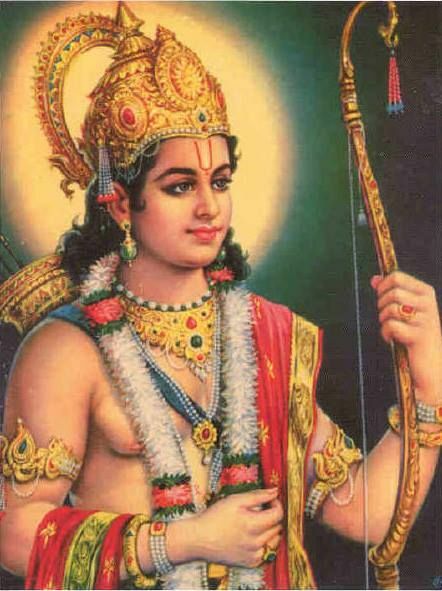 Rama was next in line to inherit the throne. However, Dasharatha had three wives. His favorite was Kaikeyi. Kaikeyi and Dasharatha had a son named Bharata. Just before Rama took his rightful place as king, Kaikeyi went to her husband. She used one of the boons which her husband had given her and had Rama exiled to the forest for 14 years. Next, Bharata was named as the heir apparent to the throne. 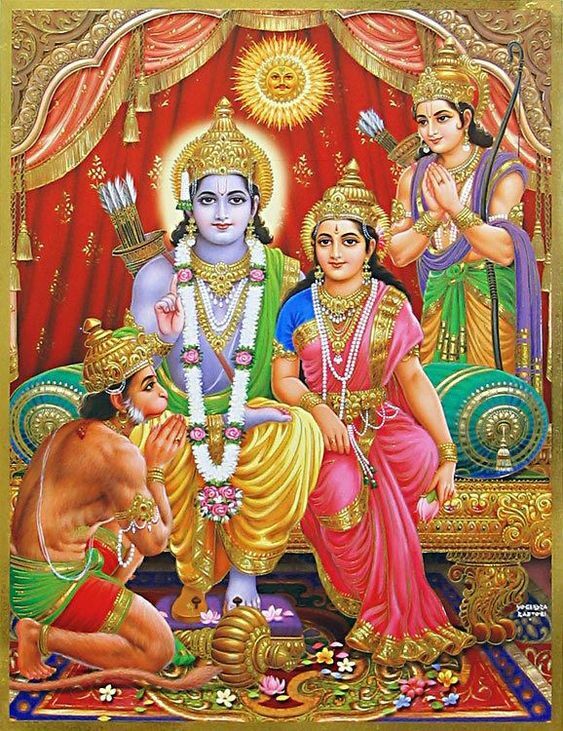 Thus, Rama left Ayodhya with his wife Sita and his brother Lakshman. Hanuman, his ever present servant, also accompanied them to the forest. Consequently, King Dasharatha became grief stricken over the departure of his favorite son. He died six days after Rama left the kingdom. Even Bharata didn’t ascend the throne, out of respect for his brother. Bharata went in search of Rama and begged him to return and take his rightful place as king. However. Ram felt he needed to honor his father’s command to remain away for 14 years. He left his hut at Chitrakuta and went into the forest. 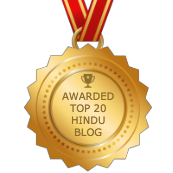 This illustrated how Rama chose dharma (righteous action) over artha (material wealth). Shri Ram was born to restore dharma to the world. 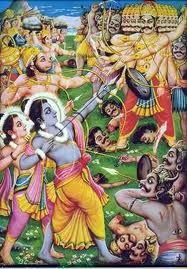 He did so by defeating the demon king, Ravana, in Lanka. Ravana had been wreaking havoc by creating adharma. This day is celebrated as Dussera. Moreover, King Ravana managed to abduct Sita while she was in exile. Hanuman was very instrumental in rescuing Sita from Lanka, bringing her back to Rama and helping to defeat Ravana. When Lord Rama returned home to Ayodhya, Kaikeyi begged his forgiveness. Rama was quick to respond that none was necessary as she was acting in the best interest of her son at the time. The time of Rama’s reign in Aydohya is called Ramarajya, or the epitome of perfect governance. Fast on this day and refrain from eating grains. It’s fine to eat fruits, nuts, root vegetables, and drink non-caffeinated beverages. You can also eat tapioca or sabudana. Make an offering of jal (water) to Surya Deva (the Sun) in the morning. The Sun is considered as an ancient ancestor to Lord Rama. The syllable “Ra” means Sun. Shortly after Ram Navami is Hanuman Jayanti. This festival occurs on the full Moon and is the celebration of Hanuman’s birth. Shubh Ram Navami 2019! Shri Ram Jai Ram Jai Jai Rama! Ram Lakshman Janaki Jai Bolo Hanumanki!